Did I make it? 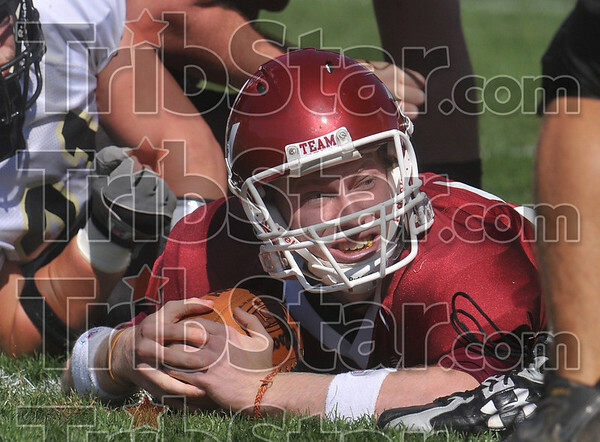 : Rose-Hulman quarterback Derek Eitel looks for the official's call as he rests on the goal line Saturday during the team's win over Manchester. Eitel was called down on the play but made it into the endzone on the next.